Take a trip to Hungary and treat your senses and your skin to an exotic skin care line that brings together high quality Hungarian ingredients with old world knowledge of herbs and fruits. By choosing Eminence Organic Skin Care you join the fight against global warming. Eminence Organic Skin Care commitment is to keeping the planet green crosses over all aspects of our company, from farming, harvest, green packaging, to getting the products to you. 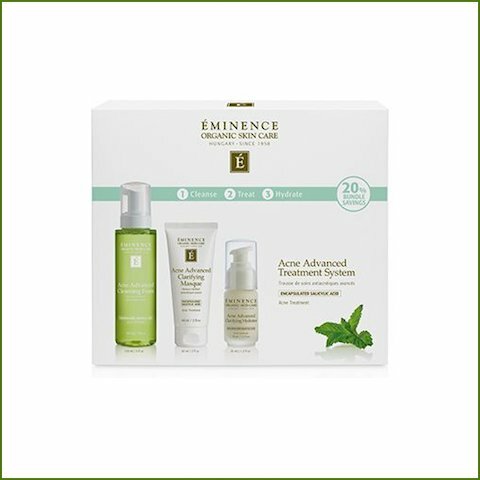 Eminence Organic Skin Care addresses a variety of skin concerns such as premature aging and wrinkling, sun damage, acne, loss of vitality, tone and radiance. The cures come from nature with ingredients that are good enough to eat. Let the aromas treat your senses and the ingredients impart health and beauty to your skin.